This 4th of July weekend, I treated myself to some amazing products that were on such good offers from the body shop. First of all I picked up 4 body butters, I know what you’re thinking, FOUR BODY BUTTERS?!! There was such an insane offer on where you got 4 body butters for £16. The deal was absolutely ridiculous as the body shop body butters sell for £13 each. I’m a massive fan of the body shop body butters as they’re so moisturising and I find they keep my skin hydrated for 24 hours like they say. The scents of all of these are amazing and fresh like how I want to smell in summer. I’ve had the lemon and passion fruit before and they’re so amazing that I really wanted to get my hands on them again. There was also a deal on in the body shop where signing up to their club was half price and if you signed up you got a free gift worth £10. The free gift was a warming mineral mask, I’m yet to try it out but I really like the look of it. I did do a test on the back of my hand and the self heating sensation felt amazing. 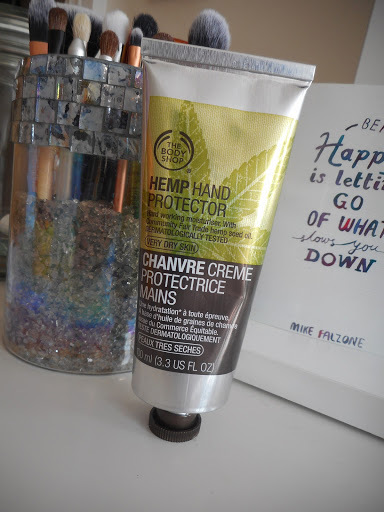 Next, I picked up the hemp hand cream as it is the most hydrating hand cream they sell. I’m a massive fan and keen user of the hemp range from the body shop so I really wanted to try this out. Newlook do the nicest, affordable and cute summer clothes so of course I picked up this gorgeous playsuit, I’m in love with this pattern. I’m going on holiday this summer so I thought it would be perfect for that and if we have nice weather (we can be wishful) I will wear it over here. The croquet of the neckline is so nice and makes the playsuit that little bit dressier. 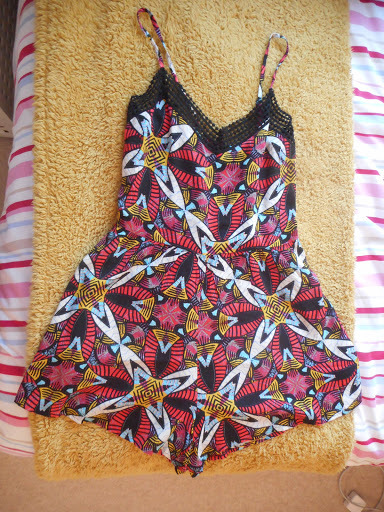 The short part of the playsuit are really flared but with the fitted top I find that it is really flattering. The last item I picked up was this racer back dress. Hopefully the photo shows that the back hangs longer than the front with slits on both sides. This dress is really short at the front but that’s fine as I’m just going to use it as a coverup to throw on top of my bikini. I love the pattern on this and I think it’s really nice for summer as I’m trying to get a bit of colour into my wardrobe.